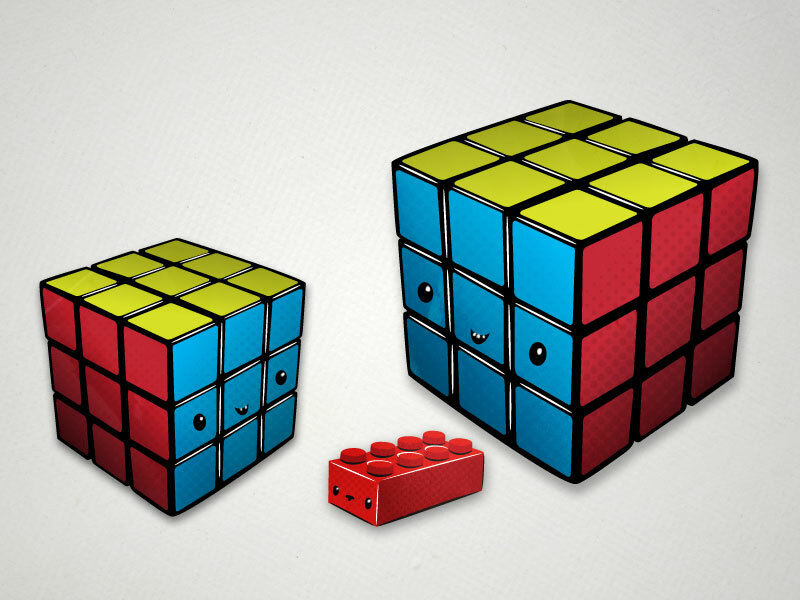 A sketch of two Rubik’s cubes, a grown-up (possibly a parent) and a kid and a happy lego dog. I wanted to work with color and simple shapes as well as a simple narrative. It all started out with me doodling a Rubik’s cube and giving it a face. I started to think of situations the cube would find himself in and thought it would be funny if he had a pet. I thought a single piece of lego with a face would be both fun and suitable. Further I thought it would be funny if there were two cubes a grown-up and a kid, as if the kid was getting a new pet.